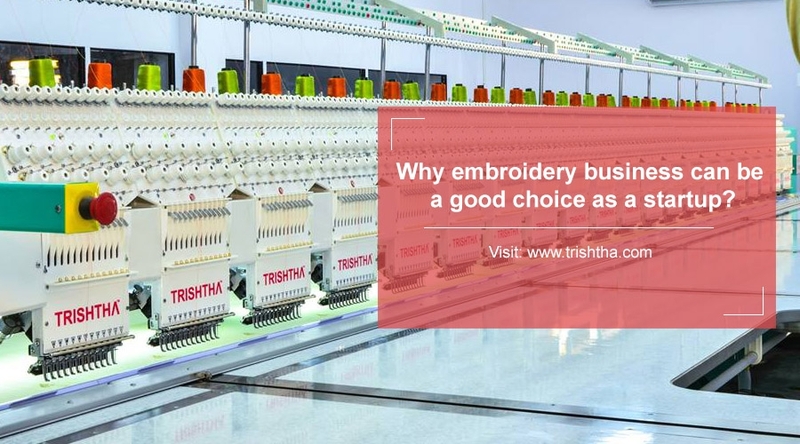 Why Embroidery Business Can Be A Good Choice As A Startup - Trishtha Industries Pvt. Ltd.
Why Embroidery Business Can Be A Good Choice As a Startup? Starting a new business is always exciting. Irrespective of whether you are on the lookout for a career change or want to follow the calling of your entrepreneurial spirit, an embroidery business can be extremely profitable. The primary reason for considering this business is the return of embroidered clothes, shoes, bags, scarves and almost everything on the runway. Need more reasons? Keep reading. Ready customer base waiting for you: Embroidery is a hot new fashion trend, and therefore, you wouldn’t have to put in a lot of effort to find a loyal customer base. At Trishtha, our market survey have even confirmed that commercial businesses are also using embroidered caps, polo shirts and trousers as a part of the workwear uniform. So, if you can partner with them, your business will always be in demand. Low investment: Starting an embroidery business is not going to break your bank. In fact, you can start a small business based out of your home. We, at Trishtha, have single and multi-needle embroidery machine India that you can purchase to kick-start the production. Our machines are computerized, and therefore, you will be able to save on labor costs. Opportunity to do something creative: If you love color, design and art, an embroidery business is the perfect choice for you. As you start a business with love, you are going to nurture it and make sure that it becomes a huge success. So, thinking of starting your embroidery machine right away? Feel free to talk to the experts at Trishtha. We will be more than willing to help you in any way that we can. We can also provide you with an embroidery machine price list so that you can make up your mind about which machine suit your needs and budget.